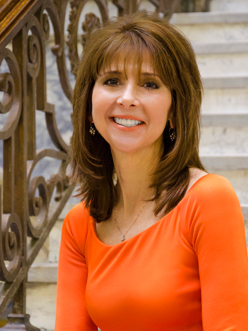 Donna DeCarolis is the founding Dean of the Charles D. Close School of Entrepreneurship at Drexel University. DeCarolis, Donna, Yang, Yi, Deeds, David, and Nelling, Edward, Weathering The Storm: The Benefit of Resources to High-Technology Ventures Navigating Adverse Events. Strategic Entrepreneurship Journal 3 (Jun 2009): 147-160. DeCarolis, Donna, and Deeds, D., Weathering the Storm: The Benefit of Resources to High Technology Ventures Navigating Adverse Events. Strategic Entrepreneurship Journal 3 (Jun 2009): 147-160. DeCarolis, Donna, Litzky, Barrie, and Eddleston, Kimberly, Why Networks Enhance the Progress of New Venture Creation: The Influence of Social Capital and Cognition. Entrepreneurship Theory and Practice (Mar 2009): 527-545. DeCarolis, Donna, and Saparito, Patrick, Social capital, cognition and entrepreneurial opportunities: A theoretical framework. Entrepreneurship Theory and Practice (Jan 2006): 41-56. Linnehan, Frank, and DeCarolis, Donna, Understanding employer participation in school-to-work programs. Strategic Management Journal 26 (Jan 2005): 523-539. DeCarolis, Donna, Competencies and Imitability in the Pharmaceutical Industry: An analysis of their relationship with firm performance. Journal of Management 29 (Sep 2003): 27-50. Coombs, J., DeCarolis, Donna, and Deeds, D., Dynamic Capabilities and new product development in high technology ventures. Journal of Business Venturing 15 (Sep 2000): 211-229. DeCarolis, Donna, and Deeds, D., The Impact of stocks and flows of Organizational Knowledge on Firm Performance: An Empirical Evaluation of the Biotechnology Industry. Strategic Management Journal 20 (Sep 1999): 953-968. Deeds, D., Coombs, J., and DeCarolis, Donna, The Impact of Firm Specific Capabilities on the Amount of Capital Raised in an Initial public offering. Journal of Business Venturing 12 (Sep 1997): 31-46. Chaganti, R., DeCarolis, Donna, and Deeds, D., Predictors of Capital Structure in Small Ventures. Entrepreneurship Theory and Practice 20 (Sep 1995): 7-18. DeCarolis, Donna, and Hopkins, H D., The Martin Guitar Company. Case Research Journal Spring (Sep 1992): 19-39. EXCITE: Expressive and Creative Interactive Technologies (NSF) $5,000,000 Jan 2012. Donna DeCarolis, Ph.D., LeBow’s associate dean for graduate programs and management department head, was quoted in a Philadelphia Inquirer article about the need for small businesses to implement strategic changes and adapt to growth. “Every time there’s a growth spurt, that means there needs to be a change in strategy,” DeCarolis said. Donna DeCarolis, Ph.D., LeBow’s associate dean for graduate programs and management department head, was quoted in a Philadelphia Inquirer article about the benefits of Employee Stock-Ownership Plans (ESOP). ESOPs afford business owners “the satisfaction of knowing that the company will carry on, typically in the hands of people that they have worked with,” DeCarolis said. Entrepreneurship education at LeBow College of Business was highlighted in a Philadelphia Business Journal article about the rise of startups among business students. Donna De Carolis, PhD, associate dean for strategic initiatives and head of the Management department, was quoted. The article also mentions that Drexel was recently ranked 15th in the country on The Princeton Review & Entrepreneur magazine’s list of graduate programs for entrepreneurship. When it comes to innovation, no company is nimble enough, rich enough or smart enough to go it alone, according to a panel of experts from Comcast, AT&T and Independence Blue Cross.